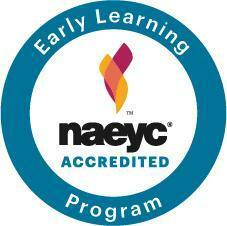 Cedar Crest Early Childhood Center believes in excellence for early childhood care and education. We believe children of every age deserve respect and safety. Children learn best when actively involved in the learning process and presented developmentally appropriate activity. We believe in collaboration for a nurturing environment to meet individual needs and foster learning in both students and staff. We believe in making a difference in our world. Cedar Crest Early Childhood Center offers childcare and preschool classes designed to nurture optimal child development, allowing a sense of voice, confidence and curiosity to develop. Cedar Crest strives to prepare children to be valuable members of society, who will be healthy, kind, and competent, by modeling and teaching concepts, compassion and the skill of making positive choices. Infant and Toddler classes for students birth–2.5 years are available Monday-Friday, 7 a.m.-5:30 p.m. during the school year (September to mid-June) and 7:30 a.m.-5:30 p.m. during the summer session (mid-June to Labor Day). Preschool classes for 2.5-4 year old students are available Monday-Friday, 9 a.m.-12 p.m.
Kindergarten Prep classes for 4-5 year old students are available Monday-Friday, 9 a.m.-12 p.m. (half day) and 9 a.m.-4 p.m. (full day). Spanish Immersion Preschool classes for 3-5 year old students are available on Wednesday, 9 a.m.-12 p.m.
Childcare before and after Preschool, K Prep and Spanish Immersion classes is available 7 a.m.-6:30 p.m. during the school year (September to mid-June) and 7:30 a.m.-5:30 p.m. during the summer session (mid-June to Labor Day). *New* Pay Your Bill Online!